Mount Spokane started a significant remodel last season with the 1,200-square-foot addition to the Main Lodge, creating new seating for 100 people and a new outdoor deck. The remodel path continued this past summer as part of the long-range improvement plan for the ski area. This season, skiers and riders will notice restrooms that are now ADA-accessible and completely new from the ground up, as well as new exterior siding and windows. Other lodge improvements include a new Internet Café featuring Red Chair bench seating, custom counter-height tables and, of course, free Internet. "Mount Spokane has purchased a new chairlift!" says Kristin Whitaker, mountain services and marketing manager. "The legendary Alpine Chair from Bridger Bowl, Montana, was secured and transported to Spokane this summer, where it was (originally) built by Riblet Tramway Company." The terrain expansion plan calls for the chair to be installed on the northwest slopes of the mountain; if the expansion is approved, the new lift will service seven new runs. "We've also installed a new webcam that will show true and accurate snowfall," Whitaker says. "It is focused on a snow stake that shows 24-hour snowfall. Trust the webcam to always show accurate conditions." 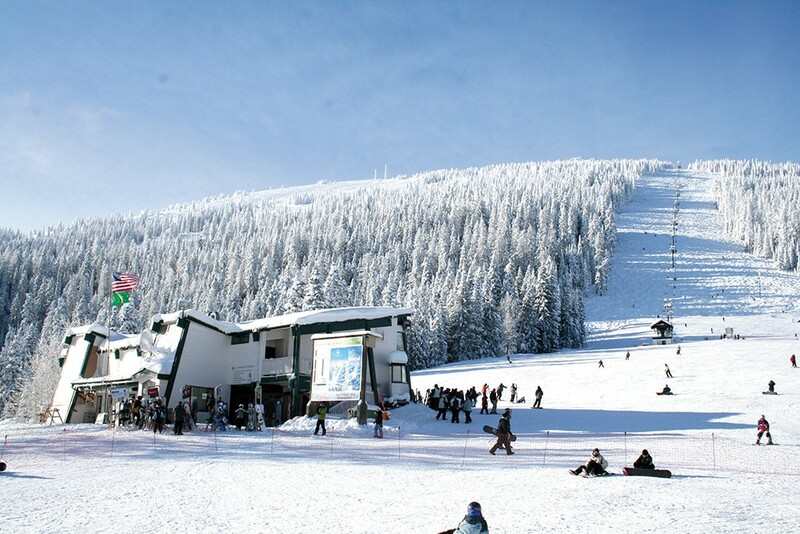 Mount Spokane understands how unfamiliar the first time can be for beginners, whether it's your first time skiing or boarding or just your first time on a new mountain. Last season, Mount Spokane introduced the First Timer's Video Guide, available on its website. "It's to familiarize beginners with the mountain experience before they ever set foot on the mountain," says Whitaker. "It's a great way to increase comfort level for newbies, and make the process of learning to ski and ride that much easier." Since creating and posting the guide, Mount Spokane has seen a decrease in recurring questions from beginners, and plans to expand on the video series in the future. "Personally, before I try something new, I go online and try to familiarize myself with it as best I can," says Whitaker, "and I know many people that do that these days." You also can download the Mount Spokane app, available for your smartphone. "It's awesome," says Whitaker. "It's the only app out there that has Facebook and GPS integration and allows you to find your friends on the mountain. We've all lost our friends on a powder day — now you can pull up the app and see what chair your buddies are riding and meet them there for the next run." Challenges on the app will enable users to test speed, build vertical and check in for rewards. New challenges will be added regularly, and the overall King of the Hill at season's end will be awarded with a season pass for next season. For the best price, purchase tickets online. It can save you anywhere from 4 percent to 50 percent. Make sure your purchase at least a day in advance. From now until Jan. 1, the popular Stocking Stuffers are available to purchase online or at the mountain. The cost until then is $99, and you get three adult lift tickets or five youth tickets. They're non-transferable and make great Christmas gifts. Afterward, the price increases to $129. Direct-to-Lift tickets are available at the REI store in downtown Spokane, at a highly discounted rate for REI members. Just show your REI card to receive the discount. Direct-to-lift tickets are also available at Yoke's Fresh Market — save a few bucks and buy before heading up to the mountain.